Executive Chef James Olberg has created a decadent Easter Brunch Buffet (Sunday April 21st, $59, served from 11am to 2pm) featuring traditional brunch staples including smoked ham eggs benedict, blueberry pancakes with marinated berries and maple syrup, buttermilk fried chicken and house-baked pastry selection, along with a roasted AAA Angus striploin carving station and a wide selection of salads. 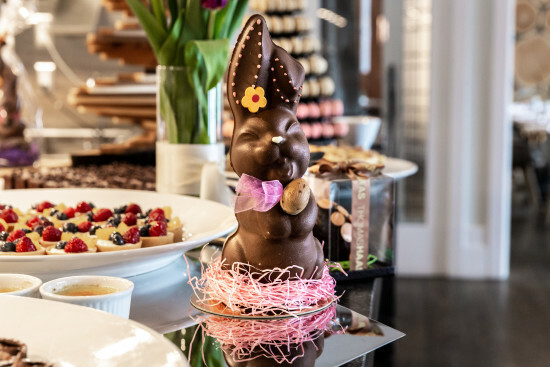 There will also be a dedicated Easter Kids’ Buffet ($29) featuring vegetable sticks with yoghurt dip, buttered corn, chicken with plum sauce, and dessert selection including mini white chocolate crème brûlée, fruit salad and chocolate chip cookies with chocolate milk. To see the full menu, visit www.nitalakelodge.com/dining and to make a reservation, call 604.966.5711. Throughout the weekend, Aura Restaurant will be offering two special menu features: a delicious stew ($32) on Friday April 19th, featuring local salmon, mussels, clams, white shrimp, vegetables and Yukon Gold potatoes in a pernod saffron broth; and a succulent provençal roast lamb leg ($32) available on both Saturday April 20th and Sunday April 21st, served with black olive tapenade, garlic confit, grainy mustard, rosemary, horseradish pomme puree and roasted root vegetables. Looking ahead to Mother’s Day, Aura Restaurant will offer a sumptuous Seafood Brunch (Sunday May 12th, $79, served from 10am to 1.30pm), the perfect way to celebrate with family and friends. Menu highlights include: chilled prawns and snow crab claws; marinated B.C. mussels with a coriander champagne vinaigrette; and P.E.I. 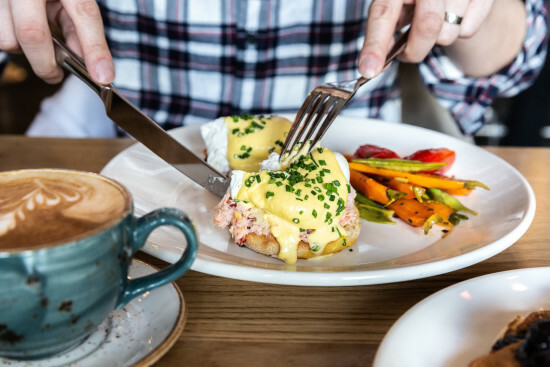 lobster eggs benedict. Reservations are recommended. To book your spring getaway at Nita Lake Lodge, as well as Easter and Mother’s Day celebrations, visit www.nitalakelodge.com or call 604-966-5707.